Carrie Underwood is the ultimate America's sweetheart. From her million-dollar smile to her sweet personality, what's not to love? The country singer skyrocketed to fame on the fourth season of "American Idol," and there's been no stopping her ever since. While Underwood definitely has vocals that could kill -- have you ever listened to "Before He Cheats"?! -- she's also doing quite well for herself in the fashion department. Photos of Underwood's very first red carpets in the mid-2000s show her wearing some questionable outfits -- gowns with incredibly bold prints or silhouettes were her go-to's. It was clear that Underwood hadn't found her aesthetic yet. As her career blossomed, so did her style. Through the years, Underwood has transformed into one of the most stylish stars in Hollywood. The 34-year-old singer has attended quite a few awards shows -- from the Grammys to the Golden Globes -- and she has stolen the show on the red carpet every single time. Her strapless, glitter-filled ensemble at the 68th Annual Golden Globe Awards remains one of her most memorable looks ever! Likewise, her Old Hollywood-inspired gown at the 49th Annual CMA's was a total showstopper. For more casual red carpet events, Underwood opts for flirty mini dresses that show off her phenomenal figure. If you got it, flaunt it! 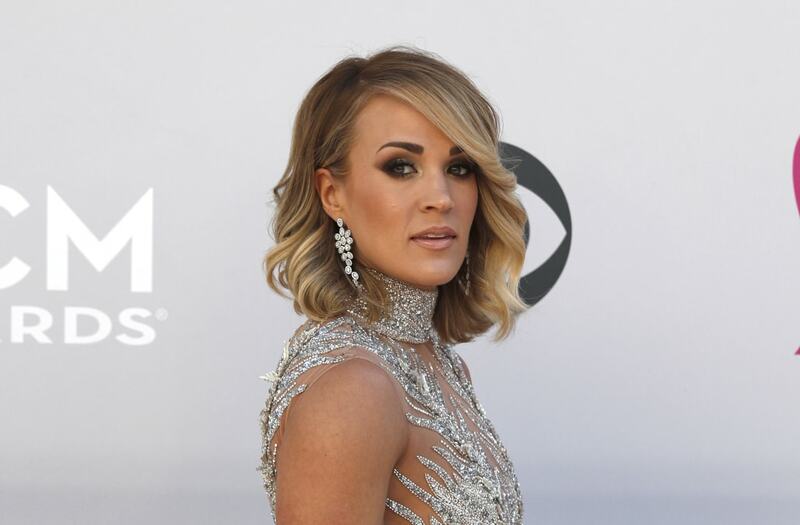 The hitmaker has dialed back on her red carpet appearances in recent years, but when we do have a Carrie Underwood sighting, it never disappoints. Check out the slideshow above for more on Underwood's style transformation.